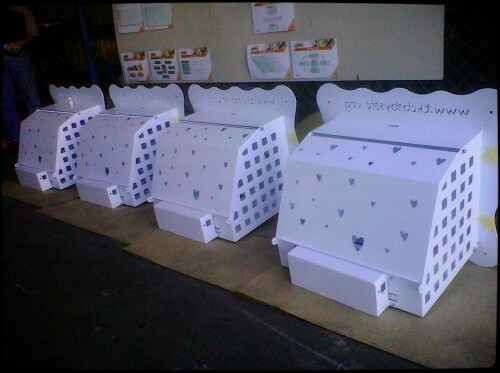 Here are some pictures of the new Baby Safe’s with their new design. One is going to Johannesburg and one is going to Swaziland, which are both places where babydumping is a widespread issue. The plan is that one will be installed in Masiphumelele and another one will replace our old safe here in the valley. The one in Johannesburg will go to Door of Hope, a ministry that for several years has worked against baby dumping and inspired the founding of Baby Safe. Här kommer lite bilder på nyproducerade Baby Safes med ny design. En kommer skickas till Johannesburg och en till Swaziland, vilka båda är platser där babydumpning är ett omfattande problem. Vi hoppas också att snart kunna installera ett i Masiphumelele samt byta ut vår gamla låda till en av dessa nya. 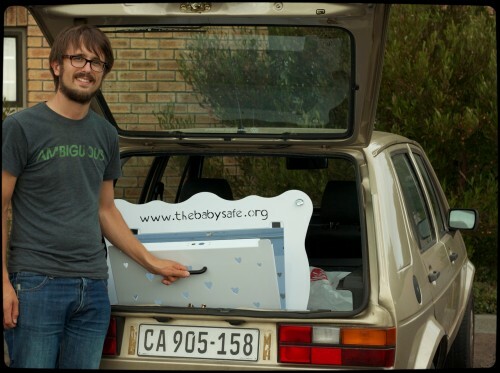 Lådan som skickas till Johannesburg kommer gå till Door of Hope, en organisation som arbetat mot babydumpning sedan flera år tillbaka och inspirerade uppstarten av Baby Safe. © 2019 Jonathan & Sofia Morgan. All rights reserved.